On 6.10.12 me and 2 buddies set out for a ski tour to the Corrall culoir in RMNP. For those not familiar with this route, the Corral sits at about 12,100 feet and though it is only about 500’ vertical, it leads you into the Tyndall Gorge one of the most dramatic, mellow, and enjoyable tours in the park. The Corral Couloir faces south (a warm aspect), with an average slope angle of 45 degrees. We were at the top by 9AM, and our decision to descend this route was immediately validated by the perfect condition of the snow, we had timed the corn cycle perfectly. We mitigated the risk of a cornice collapse by hugging the skiers left hand side of the couloir, skiing quickly and exiting into the Tyndall below the couloir. After skiing the Corral, we headed down the Tyndall Gorge finding amazing views and perfect snow. 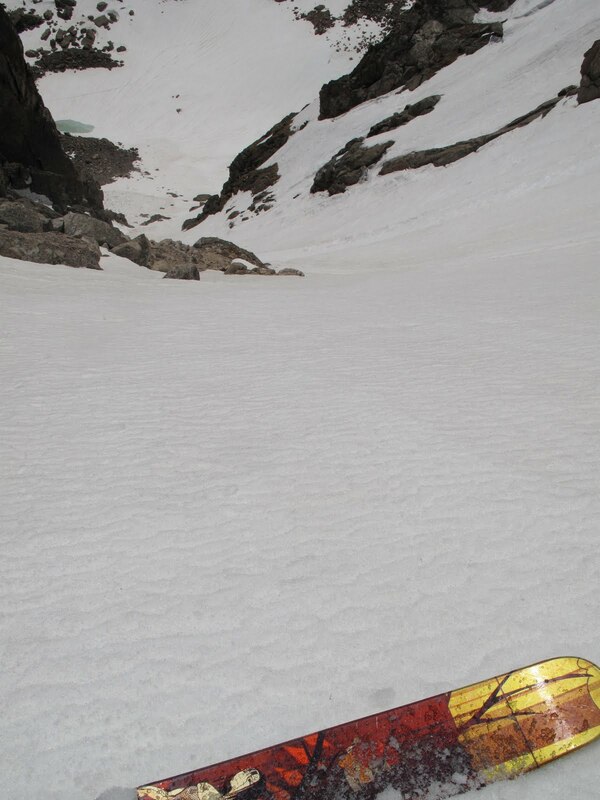 We Experienced more perfect corn snow just below the North Buttress of Hallet’s, this 35 degree angle slope provided a perfect ramp on which to shred. The snow melted away beneath our skis like butter. We could not stop ourselves from smiling. Nicely Done. I love the park!